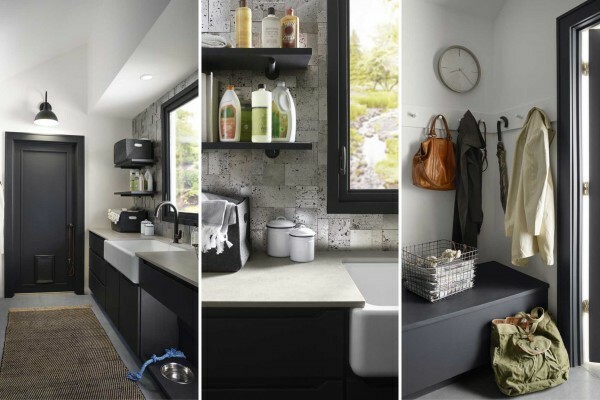 A cleverly designed utility room can turn mundane chores into meaningful experiences. Whether you’re on your third load of laundry or cleaning mud off of precious little paws, you and your family deserve a beautiful and functional space that makes your routine smoother and more enjoyable. Discover the freshest ways to upgrade your utility room to make the hub of your home feel more calm, sophisticated and balanced. Despite our best efforts, the utility room is the one place where an impressive collection of clutter winds up. Such a mashup of dirty laundry, cleaning supplies, kid’s gear and pet supplies can make organization a challenge. To manage this chaos, make your storage options more dynamic and varied so that every type of item has a place to live, other than your floors or surfaces. When these work spaces are clear, your mind will be too. It’s time to bestow your utility room with the prestige it deserves for keeping your family clean and organized, and there’s no better way to do so than with the perfect sink and faucet combination. Just because this space isn’t the centerpiece of your home doesn’t mean it should be an afterthought; take a moment to consider how much time you will be spending in this room and how hard your fixtures here need to work. By finding pieces that are both practical and elegant, you’ll set yourself up for more enjoyable laundry trips that leave you feeling as refreshed as the clothes you’re washing. 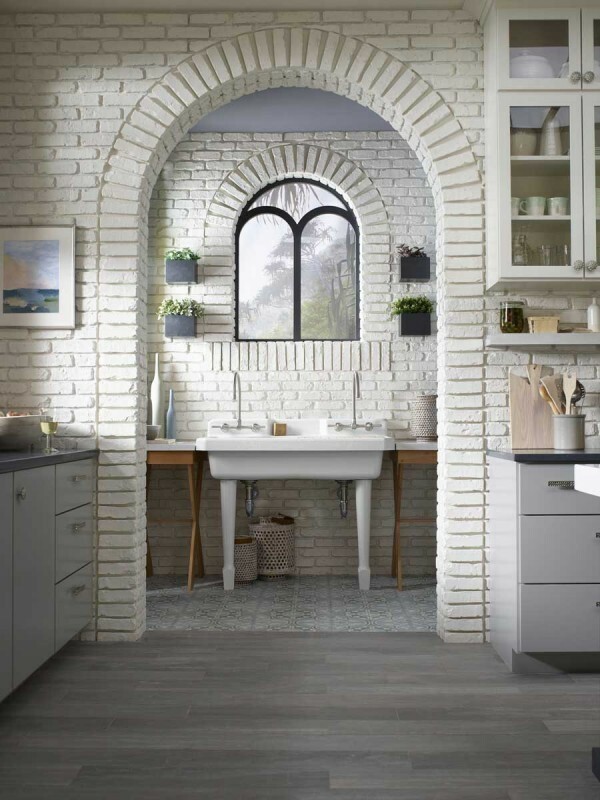 See utility sink and faucet styles take shape in Cheryl Kees Clendenon’s Garden's Edge Kitchen. 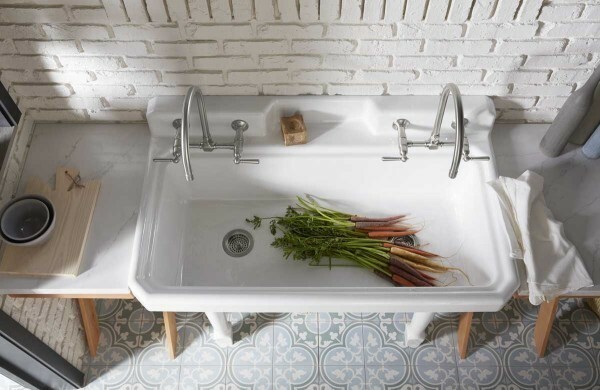 Just because it’s the utility room doesn’t mean it needs to look utilitarian. 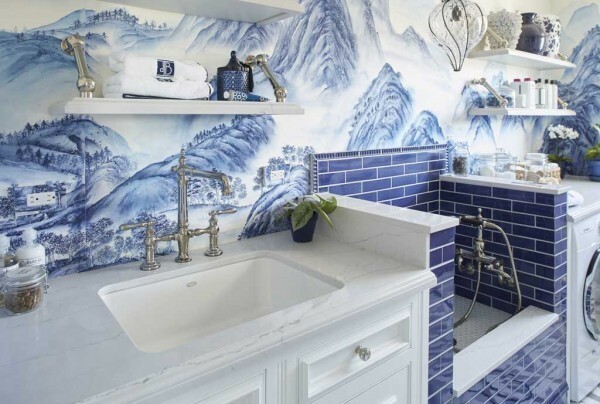 Add a bold, printed wallpaper, accent the room with a pop of one of your favorite colors or even experiment with the stylized backsplash tiles you’ve had your eye on. When you personalize a space with bursts of pattern or color, you’ll instantly feel more excited to spend time there. 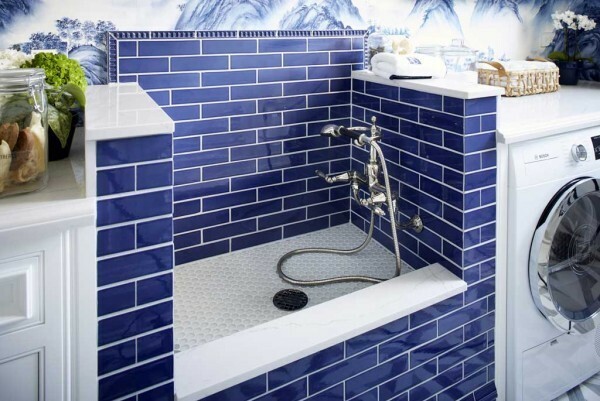 An inside look at a well-pampered pet bath courtesy of the 2017 San Francisco Decorator Showcase House. 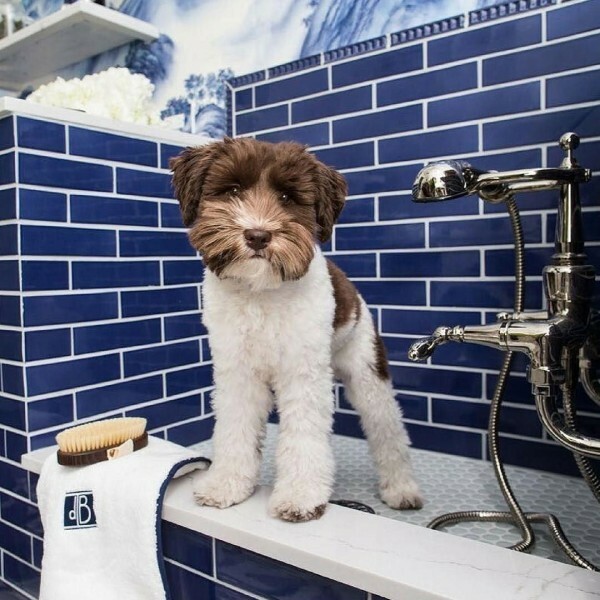 An aesthetically pleasing station will delight the humans of your home while the functionality and ease of use will make sure every pet is pampered. It’s the easiest way to clean a dirty pooch or curious cat.